If this is your first time joining us you will love it. It features Close to my Heart Consultants from all over Canada showing their projects. The Hearts of the West team was founded by Nancy Klein. 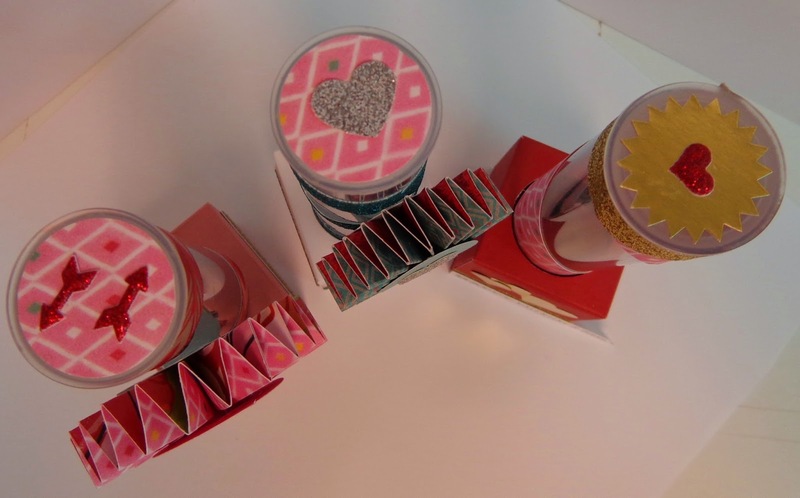 This month's challenge is based on the Brushed paper pack, brought to you by the new Annual Inspirations Idea Book, hand picked by Nancy Klein. If you came from Chelsey's blog then you're in the right place, but since this is a circular blog hop, you can start anywhere! Just in case, the full list will be at the bottom. So, as always, grab your coffee, tea, or water, relax, and hop around the team with us. I decided to make a few sets of cards this month and am so happy with how they turned out. I love this paper! 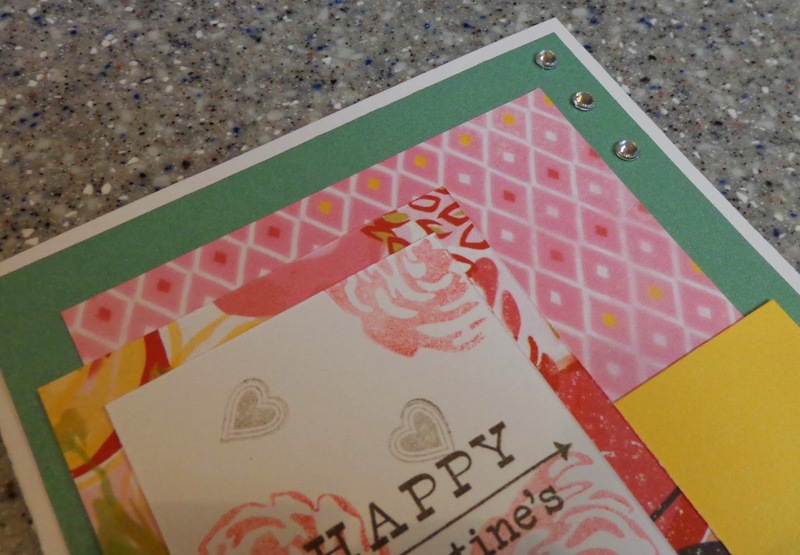 The colours are gorgeous and are great for a Valentine's Day theme. I used Hollyhock and Cocoa Exclusive Inks for the stamping, and Gold Shimmer Trim and our bulk Sparkle Gems for some bling. 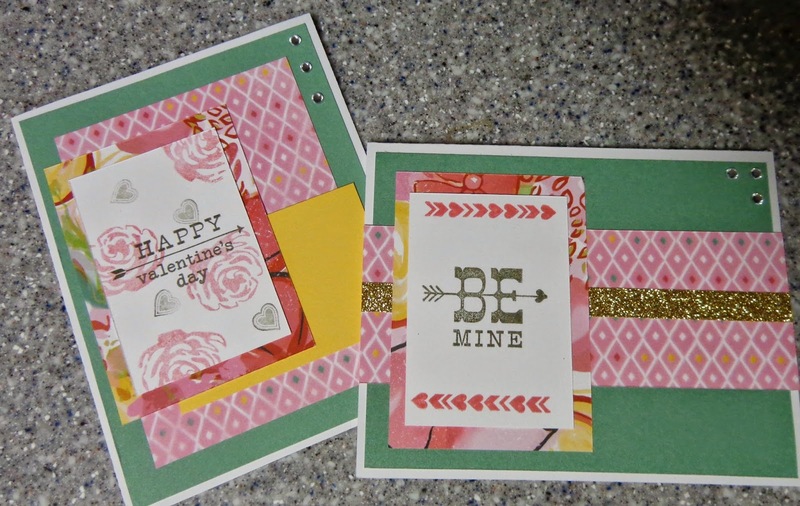 Besides the Brushed B&T, I also used Juniper and Canary cardstock and the Heartstrings Cardmaking Workshop stamp set. I made two versions of this one and can't decide with I like better. I think they both look good! The sentiment on this card was stamped in first generation over the images that were stamped in second generation. i love how it appears to be multi-dimensional! 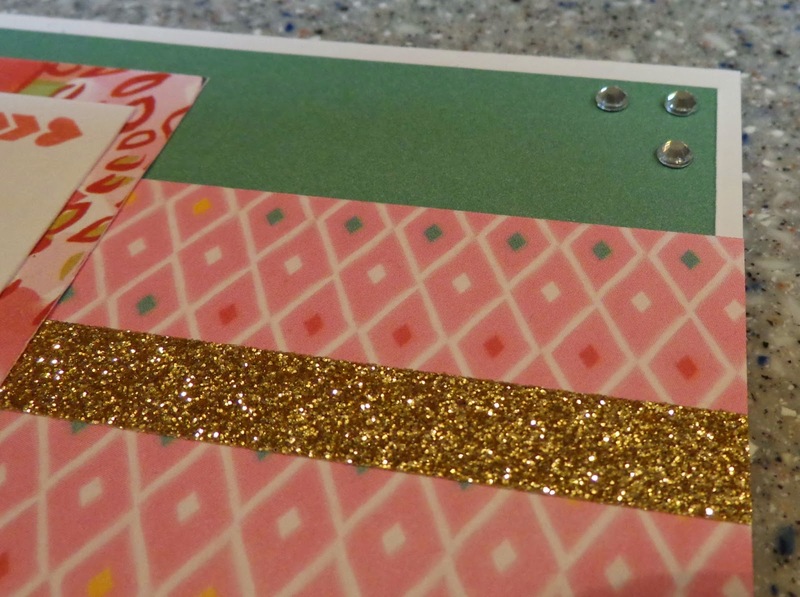 The Gold Shimmer Trim really made this card sparkle! I love all of our shimmer trims, but the gold is my favourite! Thanks for joining us this month and come back next month to see what creative projects we can bring to you! Thank you for stopping by and please feel free to leave a comment. Your next stop is Kim's blog. Happy hopping!! 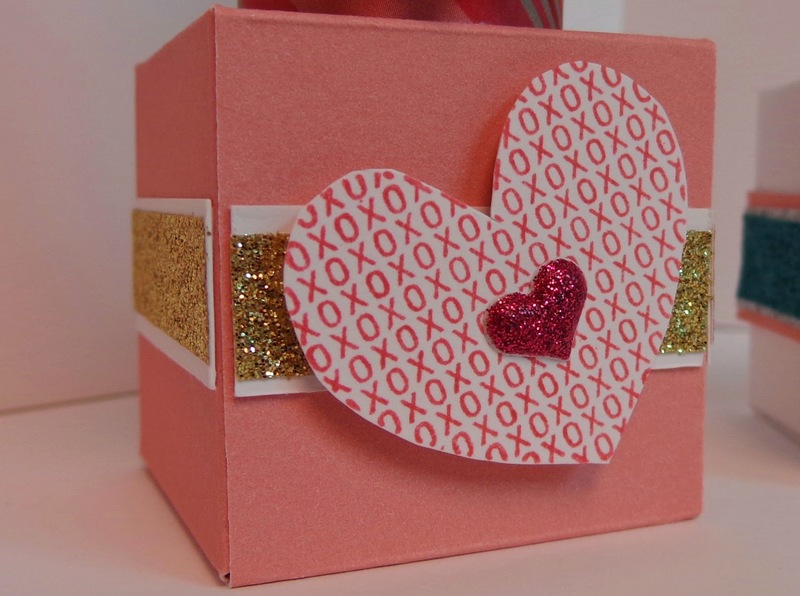 Welcome the January Use Your Stash Blog Hop and our theme, Memory Jar/Box. We all have so many memories throughout the year, whether good or bad, but at the end of the year, how many do we actually remember? I love the idea of a Memory Box for this month and will do my best to add at least one memory each week. As this is a circular hop, you can start anywhere, so if you got here from Pricilla Gotham's blog, you are on the right track, but if you get lost along the way, just return here where I will have the complete list of hoppers. As you are hopping, please leave your comments as we love to hear what you have to say about our projects! It's a little wooden treasure chest! Of course, Sticky Boy had to be part of it! He is so cute and one of my first wonderful memories of 2015! I removed all of the hardware then covered the box with Seaside paper and smoothed the edges with my finishing files and sandpaper. When they were all done, I distressed the edges with Chocolate ink, making sure to smudge it around here and there. I love how this paper made the box looked aged, and the ink adds a bit more age. I coloured Sticky Boy's balloon with Marine Blue and Turquoise Blue Touch Twin markers and used the blending pen to add the bit of highlight. His hat is coloured with Marine Blue and two of my coloured pencils (can't remember the colours I used), then added a Sparkle Gem for the pom pom. I wanted to add a cluster of flowers on the top, but since my Cricut mats are still MIA after our flood, I made a rosette instead using some paper from the Frosted WOTG from the Autumn/Winter 2013 Idea Book, an Irresistibles flower from a few idea books ago coloured with Glacier ink, a silver sequin and a sparkle gem. The Frosted paper works great with Seaside! I had the Flourishes in my stash so added them for a little extra bling, as well as the three silver sequins with sparkle gems in the center. All in all, I love how this turned out! Now to add more memories! If you see anything while you are hopping that you would like more information about, please contact your local Close to my Heart Independent Consultant!